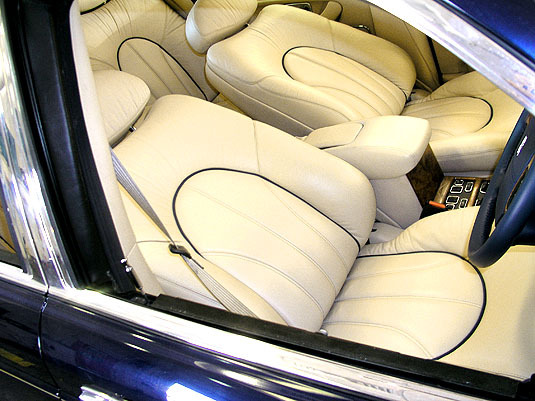 So by the end of this first phase, the leather looked great, the wheels looked great, the sun roof was sorted out, and once given a coat of wax, the car looked good enough to turn heads. We look forward to having the car back here in the winter when the rest of the work will be completed. As you can see on the photo below, there is a crease along the side crossing both door. Crease across both doors will need to be repaired at a body shop. 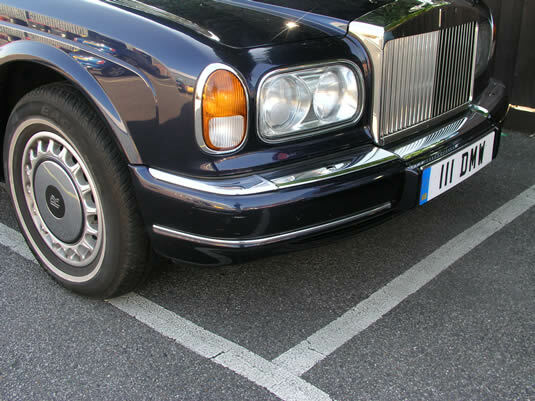 There are some other bits of body work that need to be done including a scuff on the bumper pictured below, and some interior detail that needs attention. There is a scuff on the steering column, and the headlining is stained, probably by water from the leaky sun roof or windscreen. Although the car looks shiny in the photos, this is down to the wax -- on closer inspection the paintwork is covered in swirl marks or 'spider webs'. 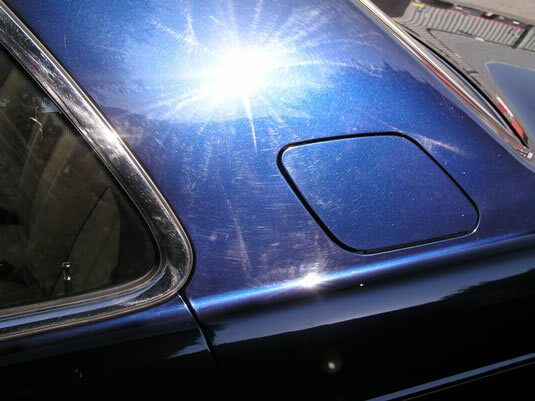 Once the bodywork is completed we will be able to carry out paintwork correction on the car, machine polishing it to a high shine. refurb later in the year.